1. FC Köln striker Anthony Modeste puts his prolific goal-scoring form down to good old fashioned hard work. It is the start of Karneval season in Cologne, but that is not the only reason why the North Rhine-Westphalian city is celebrating. Fuelled by the 11 goals of the German top flight's joint-leading marksman Anthony Modeste, 1. FC Köln have made a flying start to the 2016/17 campaign and currently occupy sixth place in the Bundesliga standings. In an exclusive interview with bundesliga.com, Modeste shared his thoughts on the Billy Goats' campaign so far, his own rich vein of form and the Matchday 11 clash with fierce rivals Borussia Mönchengladbach. Sign Anthony Modeste to your Official Fantasy Bundesliga team now! bundesliga.com: Anthony Modeste, what explains your red-hot form at the moment? 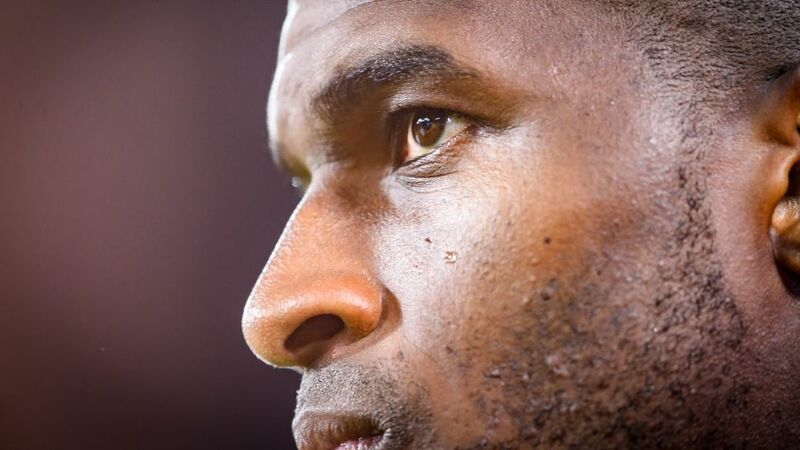 Anthony Modeste: My maturity. I'm 28 now and I feel level-headed and confident. I'm better equipped to rate and analyse my performances. bundesliga.com: What does that mean in practical terms? Modeste: After every game, I watch the entire 90 minutes and observe what I did with the ball and how I moved off it. That helps my development. I work hard. I firmly believe you reap the rewards when you do that. bundesliga.com: What’s the secret to your form? Modeste: Working hard every day and perseverance. I never let up because I don't want to stagnate. I always want to progress. What's more, I'm playing in a fantastic team. We have a fantastic team spirit. People often say the goals dry up for me in the winter. Now I'm doing everything to maintain my consistency. I'm anxious to see if I can, but I'm feeling good about it because I'm brimming with confidence and because we're functioning better and better as a team. "Aubameyang is a world-class striker... Lewandowski is capable of scoring three or four goals in a single match." bundesliga.com: Pierre-Emerick Aubameyang was singing your praises in a recent interview with bundesliga.com. What's your relationship with the Borussia Dortmund striker like? Modeste: Very good. We've known each other a long time. We played against each other a lot in Ligue 1, and we send each other regular messages now we're both in the Bundesliga. bundesliga.com: What did the last one say? Modeste: I sent him a text the other Monday to say that he'll have to wait a while longer to catch me in the scoring charts. Then it was his turn to rub it in a week later, when I didn't add to my lead and he scored four (laughs). He said he didn't need to make up for lost time. Auba is a world-class striker and all his success is down to hard work. bundesliga.com: You've both scored 11 goals - four more than Robert Lewandowski. Do you expect the FC Bayern München striker to catch up before long? Modeste: Definitely. Lewandowski is always in a position to score three or even four goals in a match. He'll be right up there at the end of the season again. bundesliga.com: Next up you travel to Borussia Mönchengladbach for the Rhine Derby. What's the objective? Modeste: We want to take something from the game. A derby is really special. We want to give our loyal fans even more reason to cheer. It's always tough there, but I believe we can come away with at least a point. Watch: It's never too late to play the Official Fantasy Bundesliga - sign up to the Autumn League now!